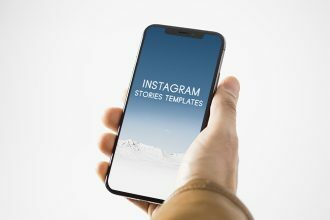 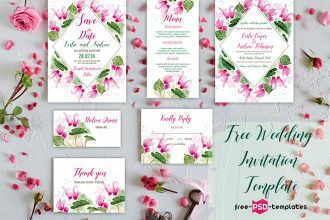 By: Nelly Vinnik posted on October 04, 2018 in Inspiration . 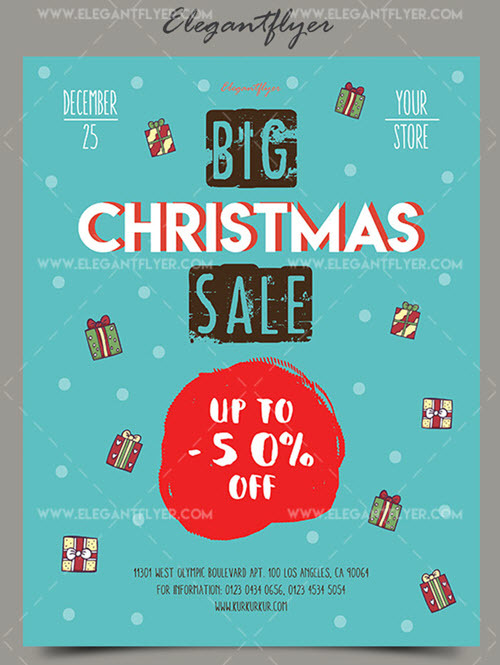 Christmas is just a few months away and is quickly approaching. 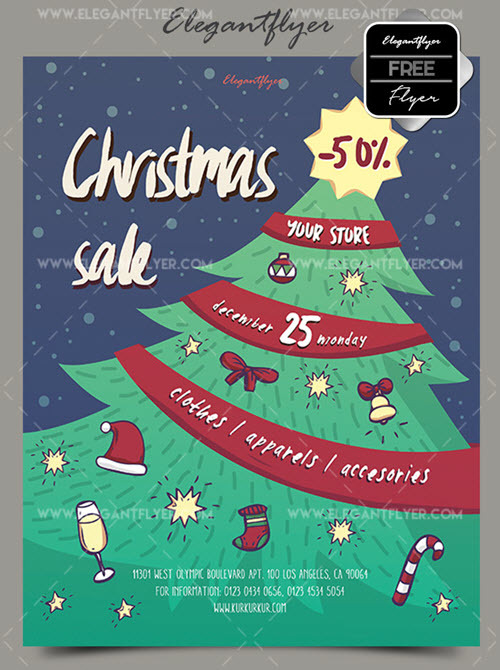 It’s high time to start preparations in order to host the best Christmas party ever or run the most profitable Christmas Sale of the year. 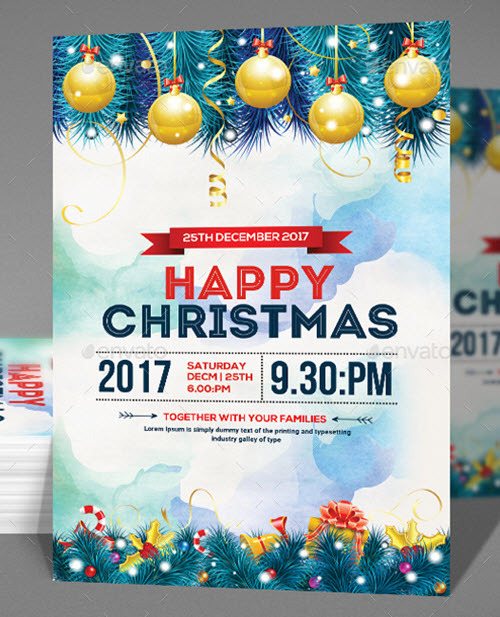 Soon, designers will need to create a lot of flyer templates and poster templates in PSD for creating creative and attractive promotional Christmas flyers and invitations for parties, business sales and other Christmas dedicated events. 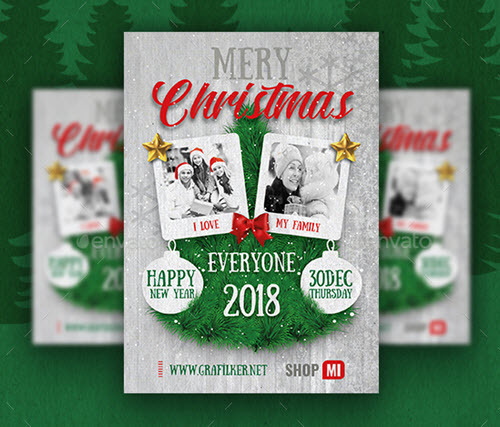 We are happy to help you out by providing the roundup of the latest most attractive and festive premium & free Christmas flyer PSD templates. 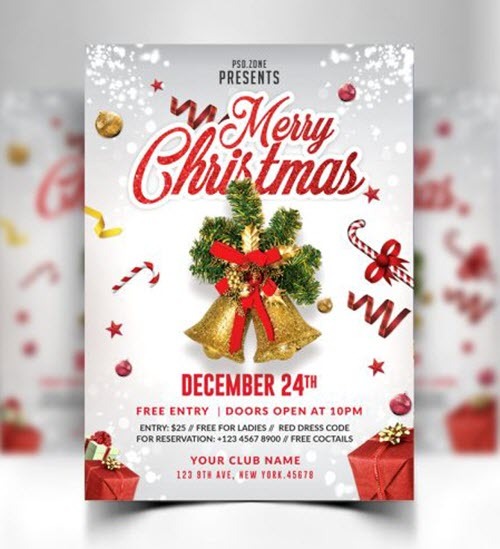 Using these 40 free flyer templates in PSD, any designer can create a custom, print-ready Christmas flyer design in matter of minutes. 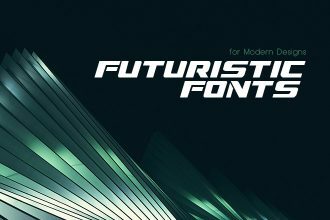 Thanks to Photoshop, the customization is a piece of cake. 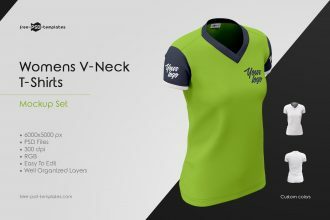 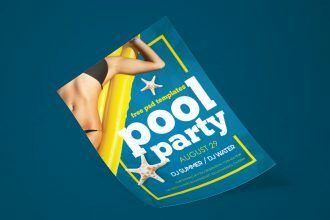 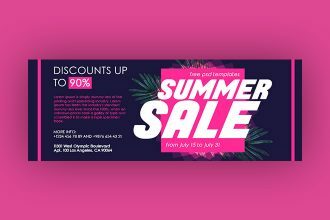 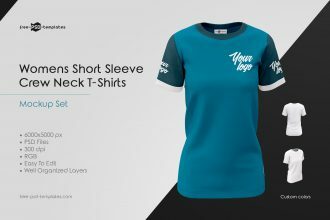 Thanks to smart objects and well-organized layers, you can add any element, change colors or remove any element in a flyer template: Get Photoshop as part of a Creative Cloud single-app plan for just US$19.99/mo. 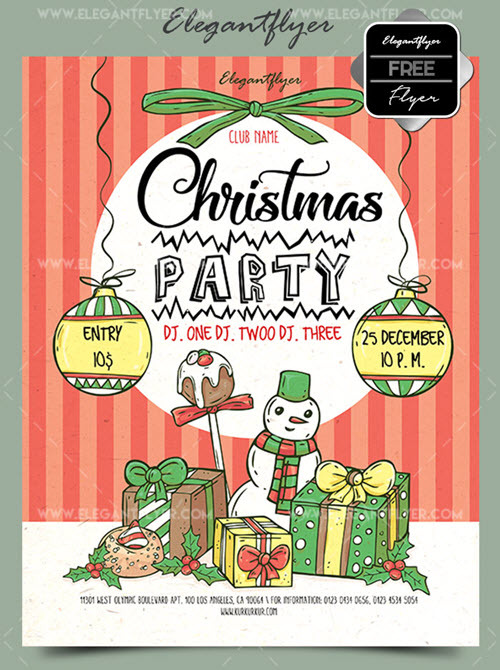 Invite as many guests as possible in advance using these premium and free flyer PSD templates. 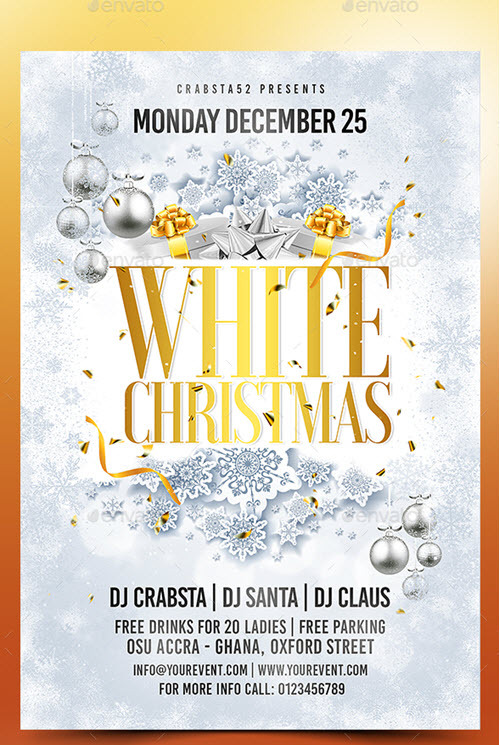 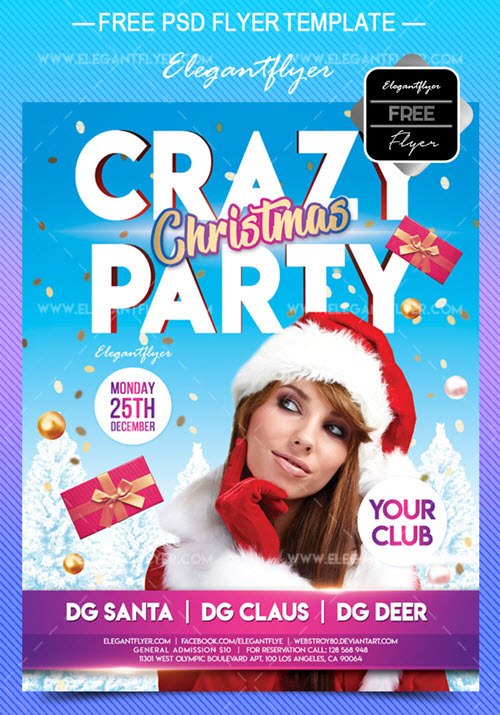 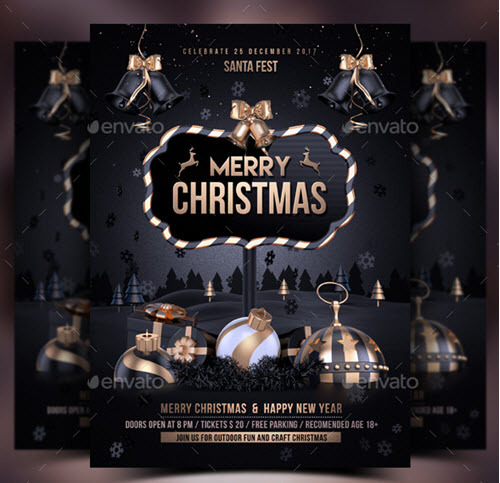 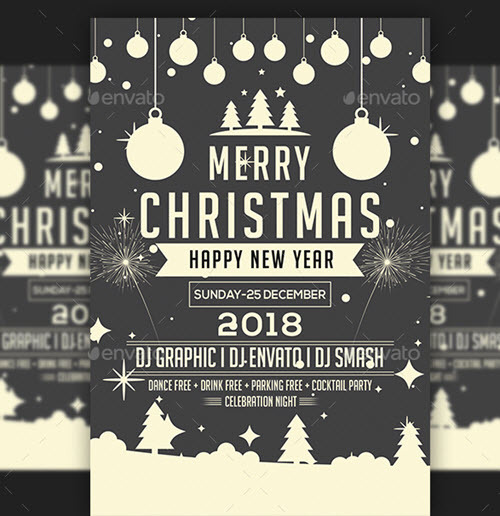 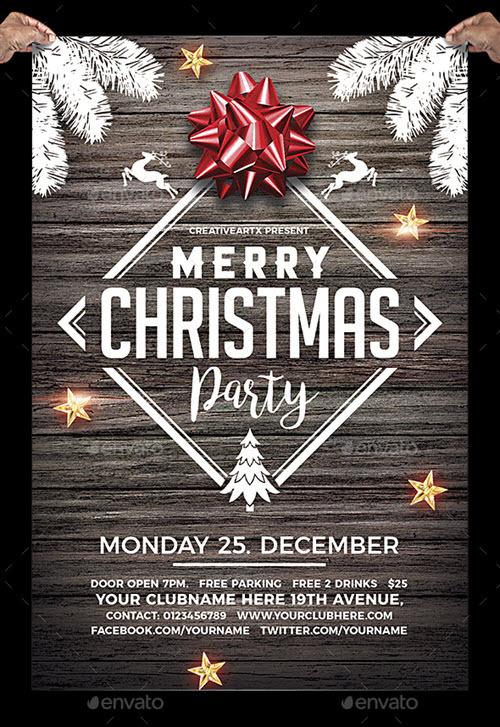 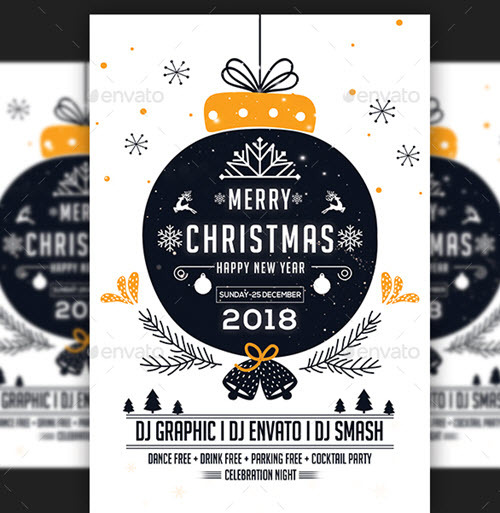 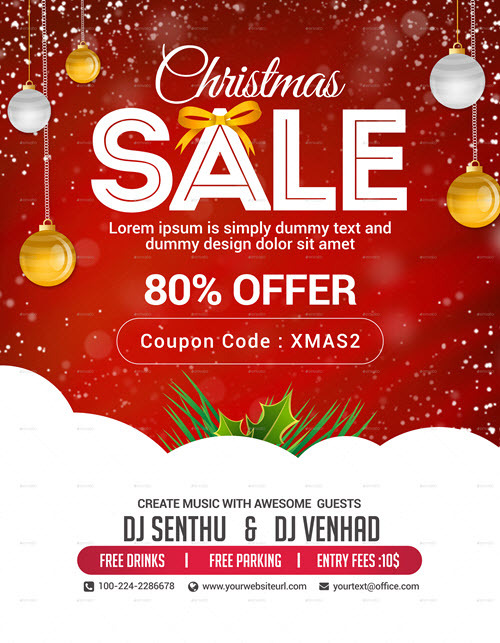 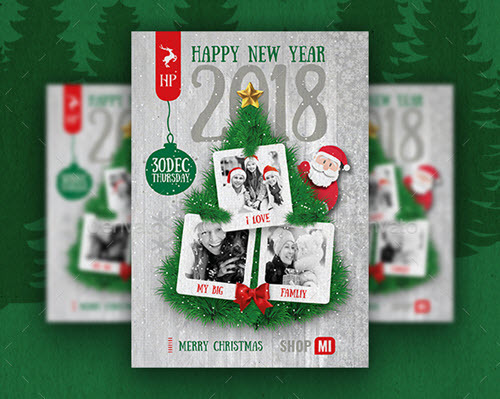 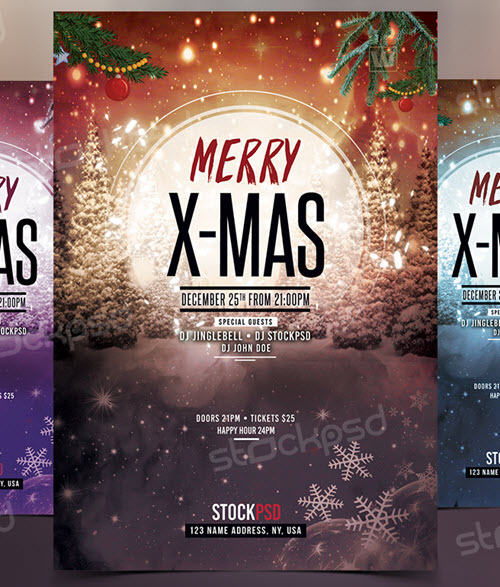 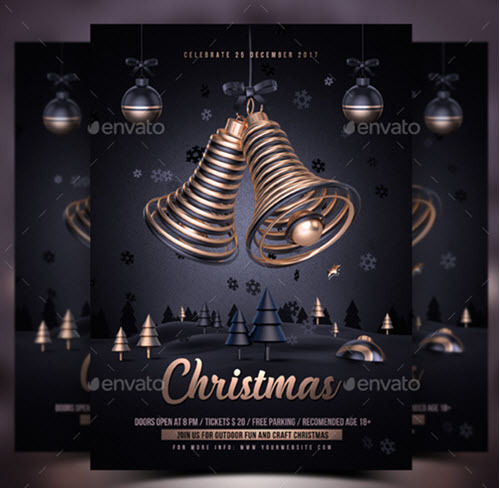 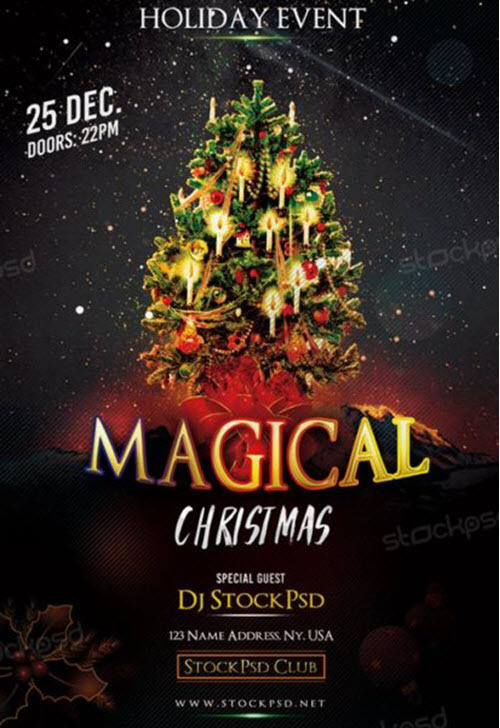 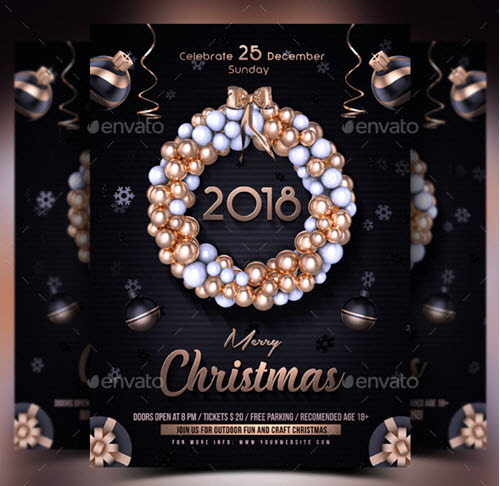 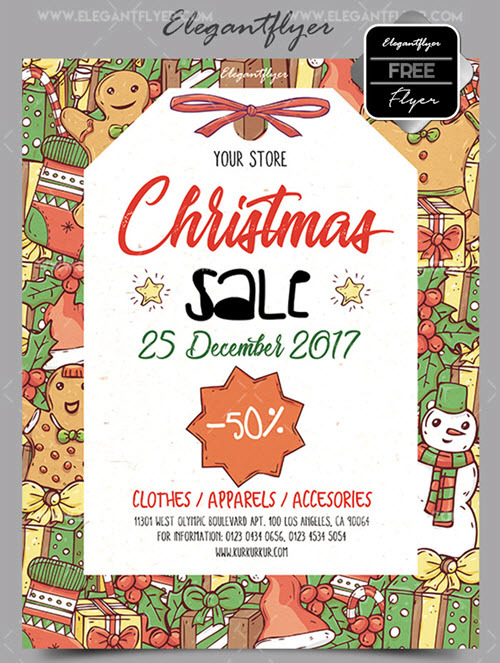 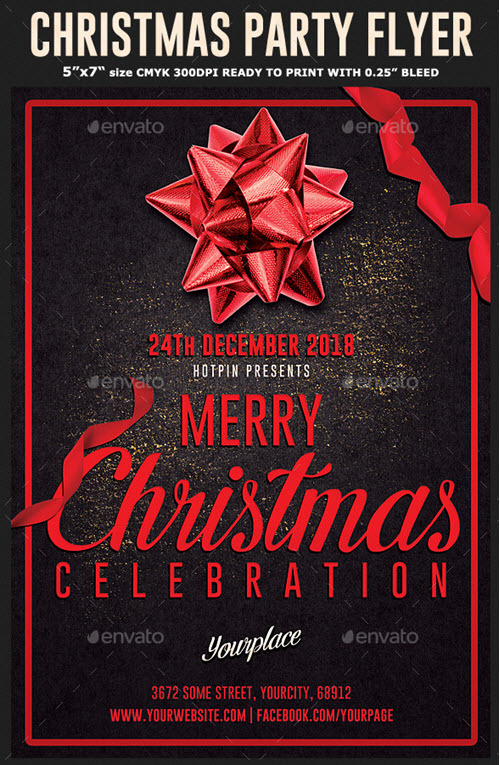 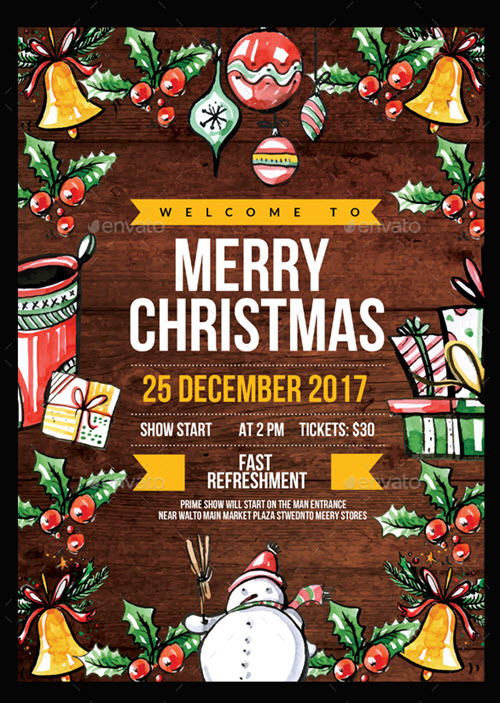 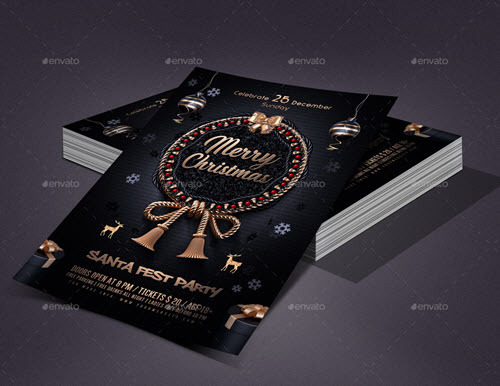 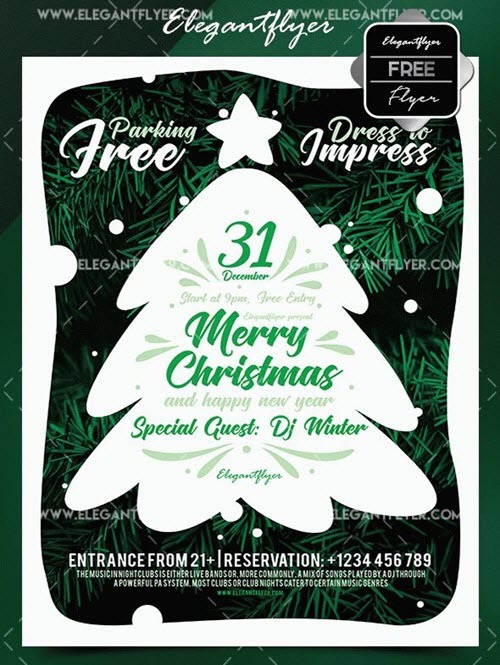 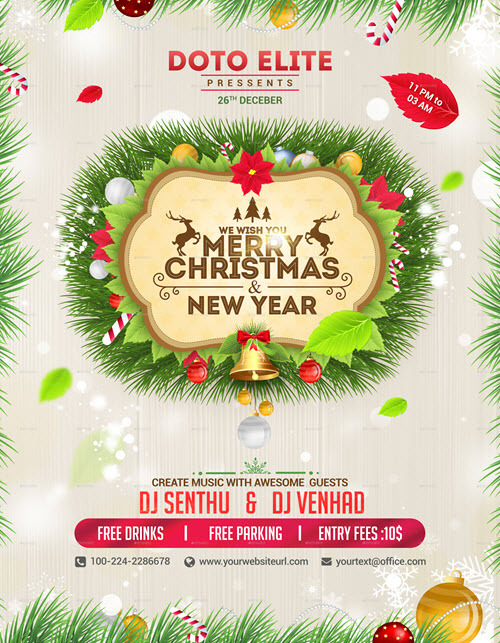 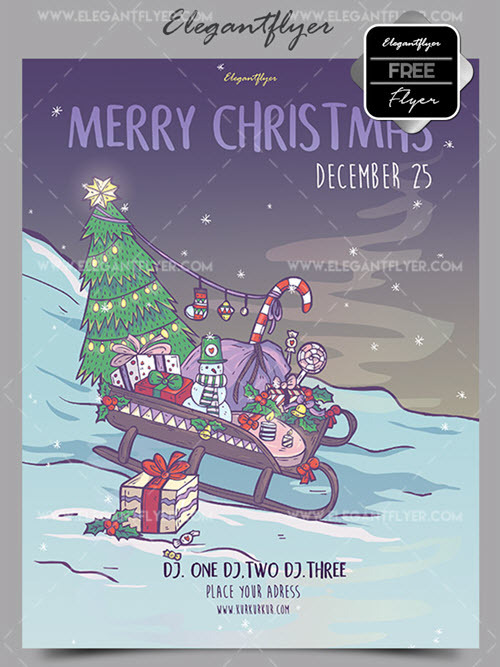 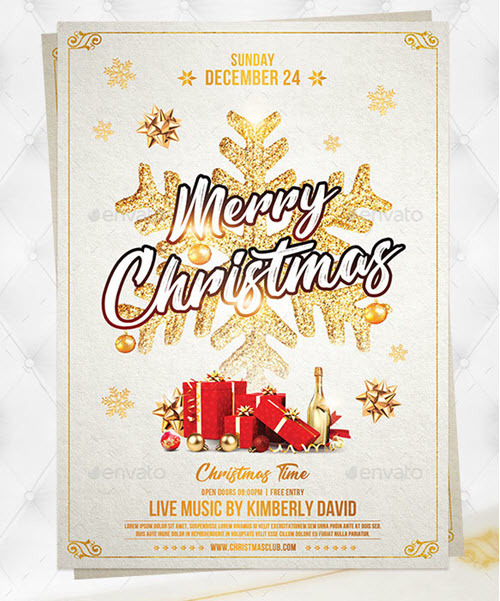 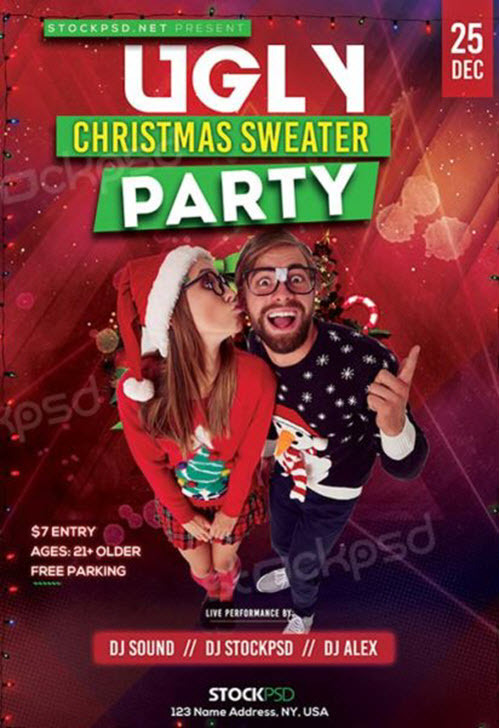 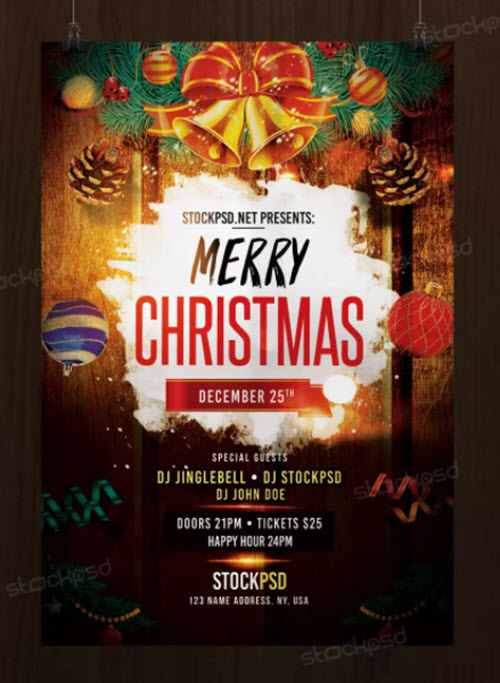 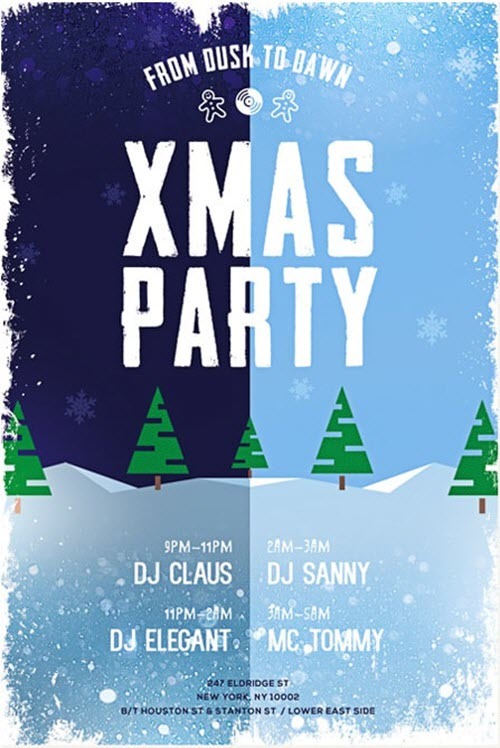 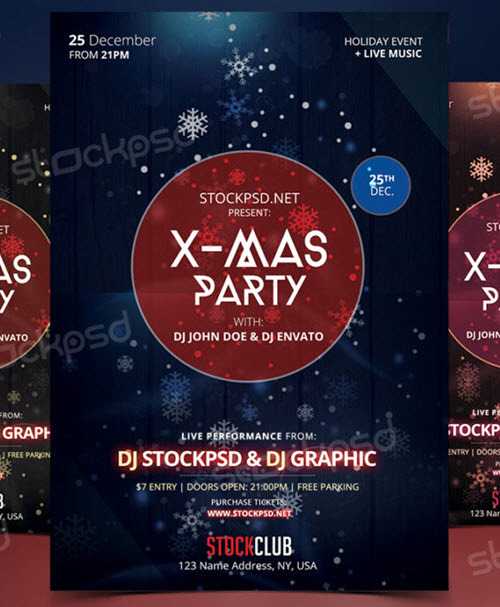 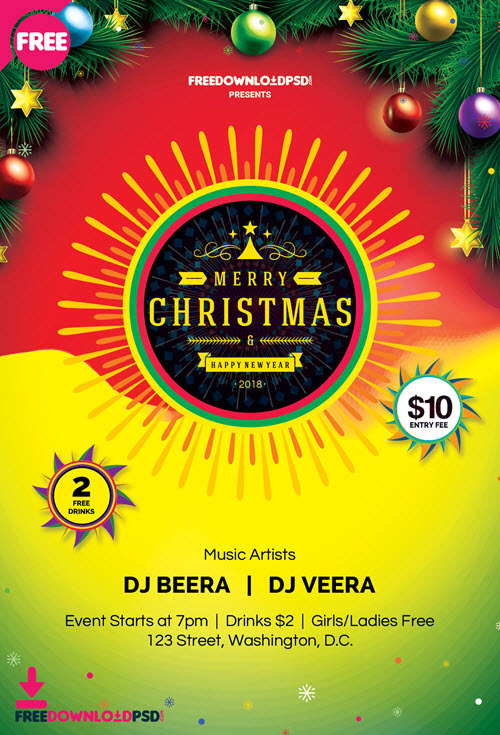 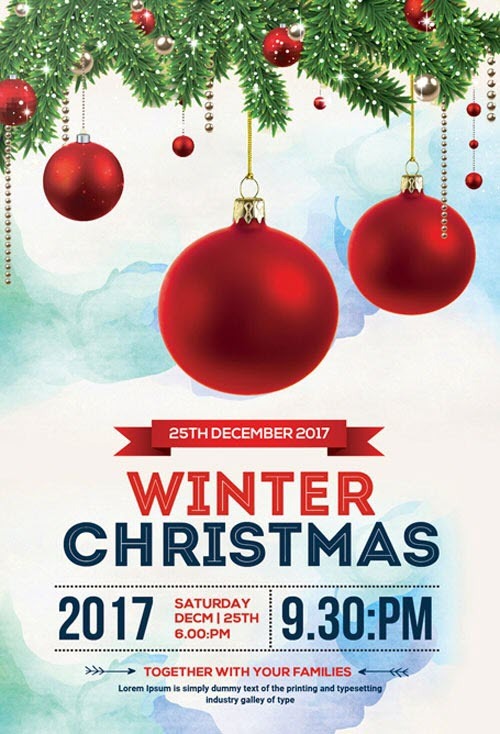 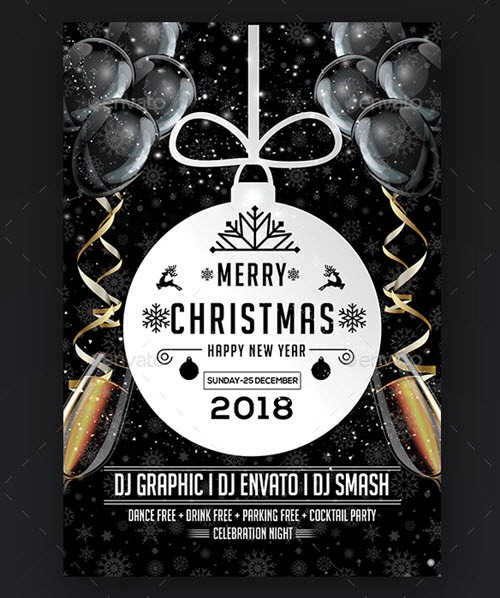 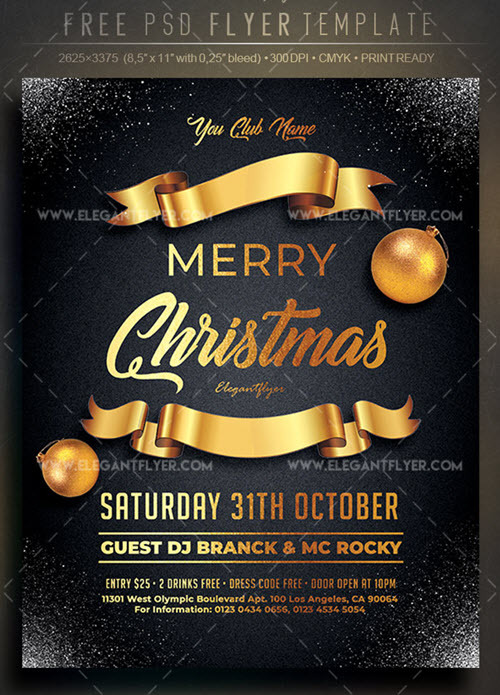 Your Christmas party or Christmas sale will definitely become Merry and will have success if you make use any of these flyer PSD templates dedicated to Christmas. 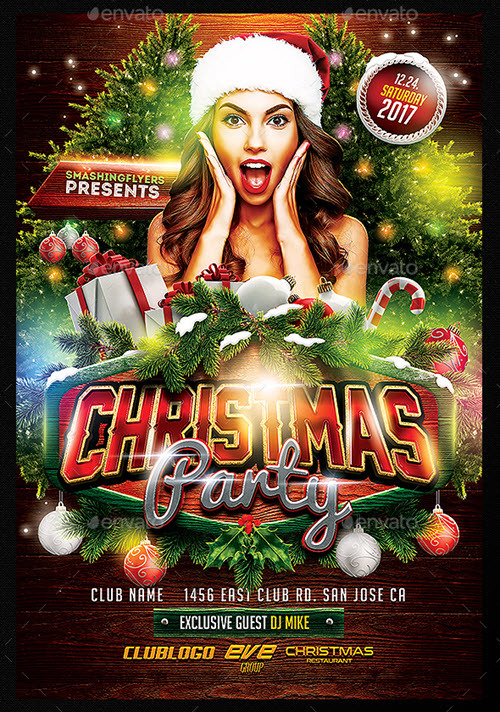 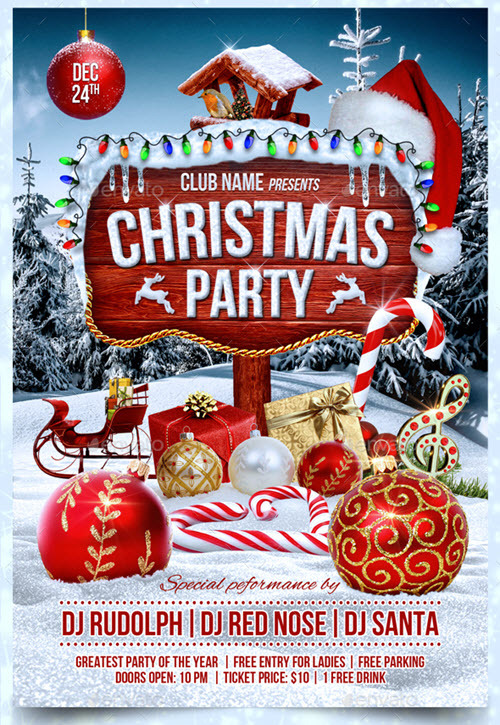 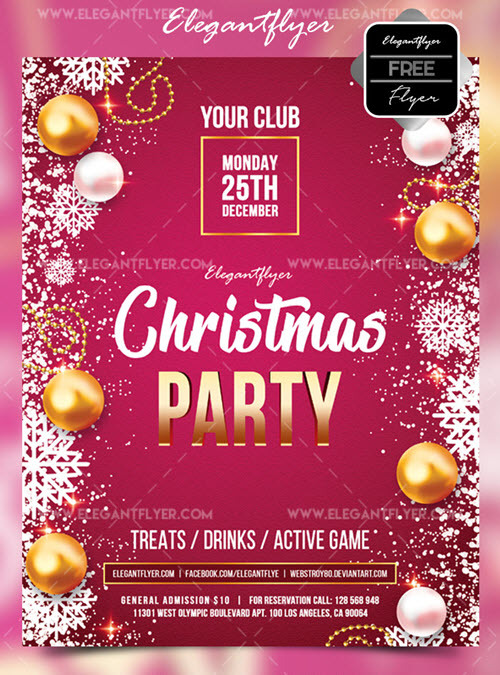 We have carefully handpicked only the best Christmas party flyer templates in PSD which are designed according to the latest trends and in accordance with the design principals. 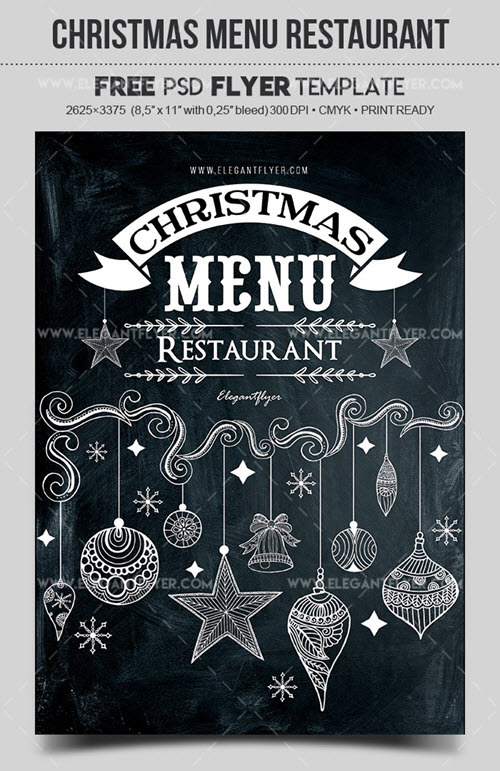 There will be a few of holidays before Christmas, such as Thanksgiving, Halloween etc. 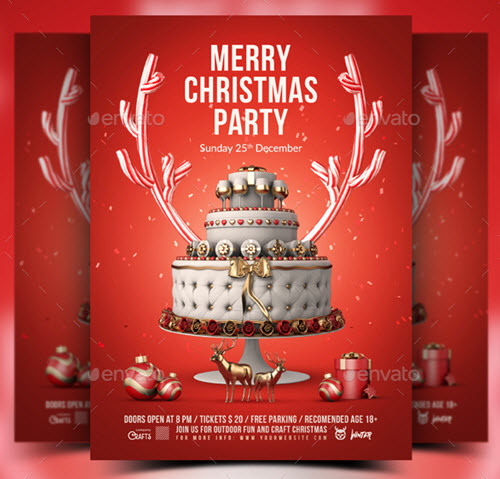 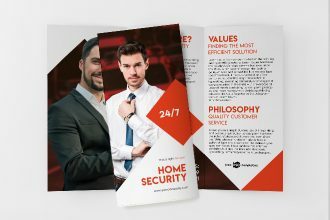 So you will need some premade free print templates in order to create standing out invitation and promotions for the parties dedicated to Halloween and Thanksgiving. 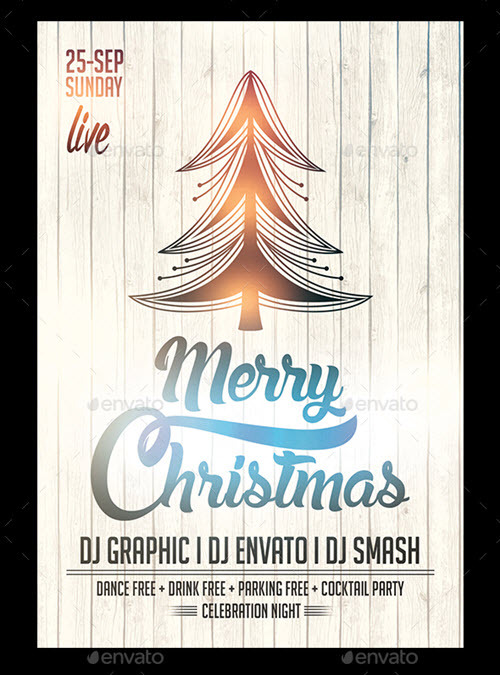 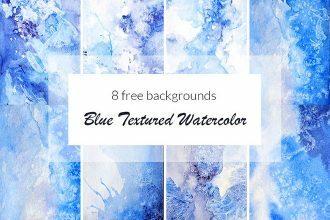 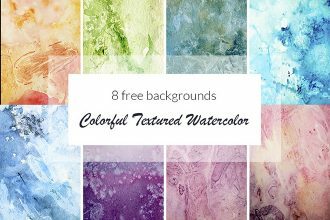 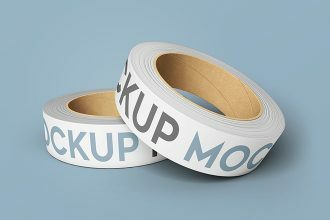 Our free graphics will become of great help and will add a creative touch to your design projects.